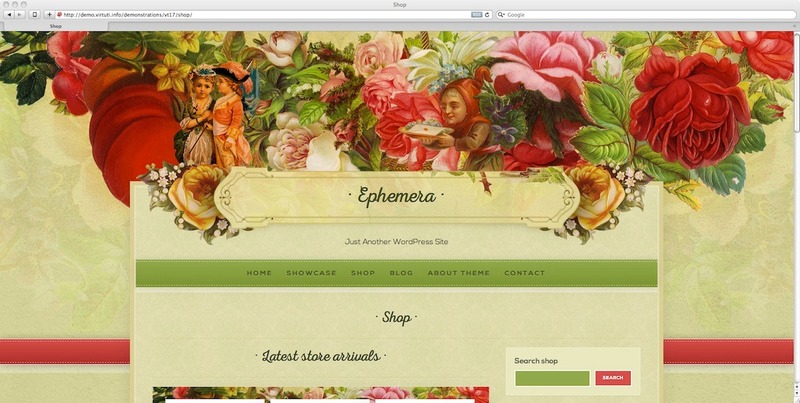 “Ephemera” is carefully crafted WordPress.org theme designed in Victorian style, perfect for showcasing and selling vintage and/or vintage style stuff. 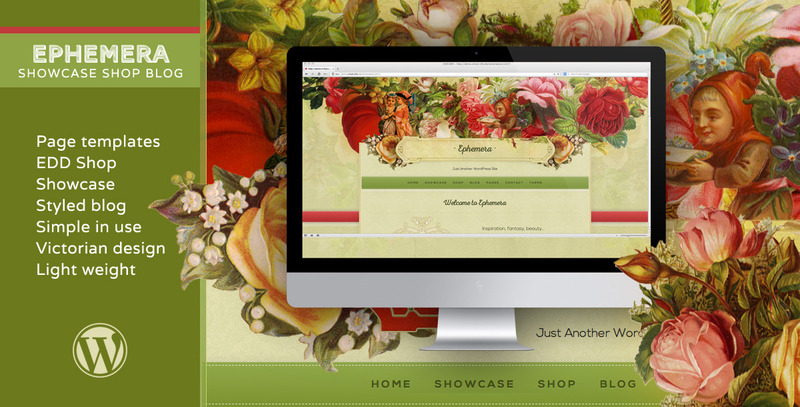 The theme consists of 3 major blocks: showcase, shop and blog. Showcase block may serve well for any separate off the blog specific group of posts which are suitable for portfolio, showcase or collection of favourite items. Shop is built upon EDD free plugin. Blog is… well, it is a blog. What it does suit to? The theme suits perfectly for selling and showcasing vintage style digital art, scarpbooking, vintage fonts, graphics, fashion and interior design mockups, stationary graphics, icon designs and similar things. There are some, very few and very little requirements to run this theme. You need to download, install EDD plugin and read its documentation. 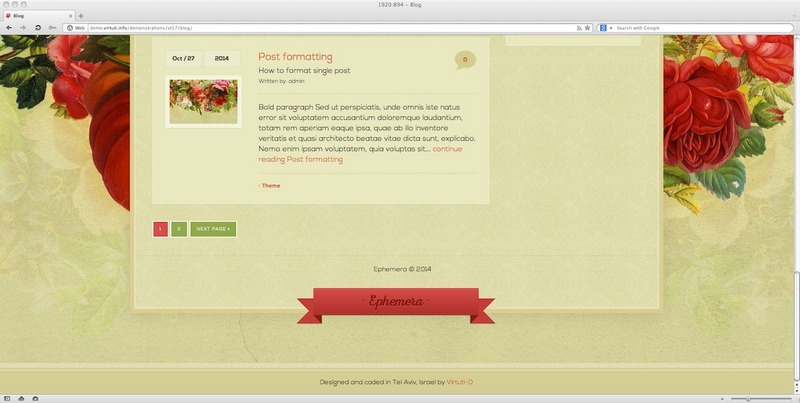 You need to create for at lease one post in showcase. You need to crop images for showcase proportionally–does not matter which size the images are but keep same proportion of all the images in this block posts. 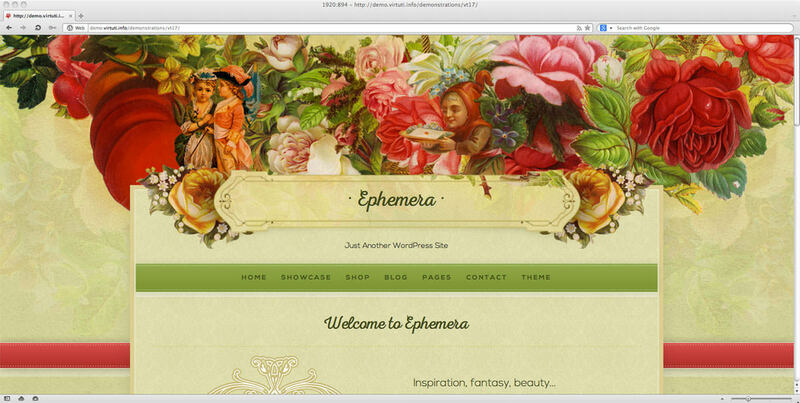 Same refers to Shop images (it is not obligatory but in case you want to keep that layout accurate and beautiful…). 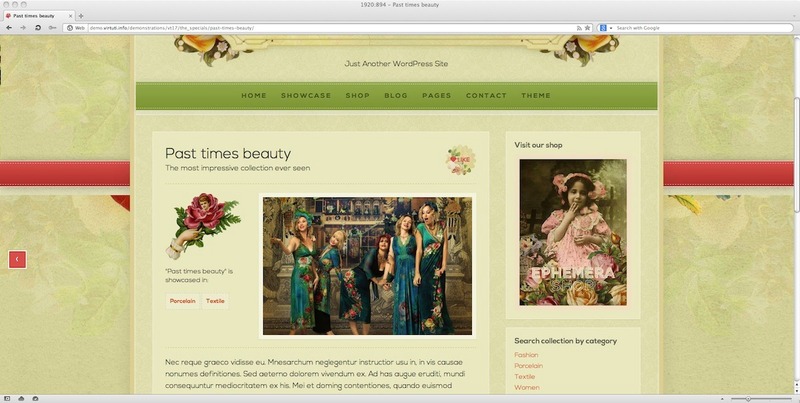 There is no way to skip using Showcase block on Home page and / or delete it from the Home page unless you are very comfortable with php and WP coding. You must be familiar with WordPress dashboard interface–what means you should know how to write and publish posts, drag widgets, insert images, add categories and similar things.